ROI is equal to a propertys' cash flow, which is its income minus expenses, as well as it's equity that builds up. 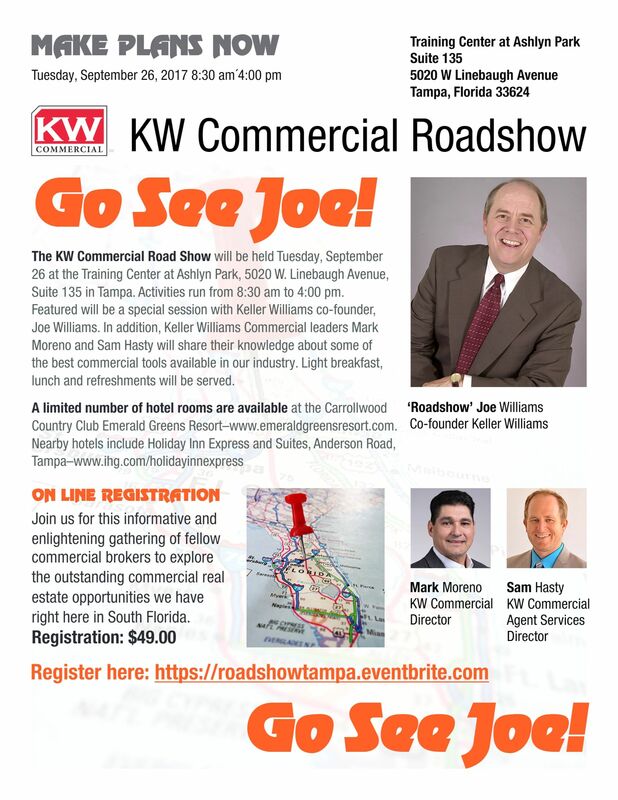 Keller Williams Co-Founder Joe Williams in Tampa! Tower Oaks Shopping Center. Leases available. Three spaces under 1500 square feet. Hair Salon, Tanning, Accountant and other spaces for lease.